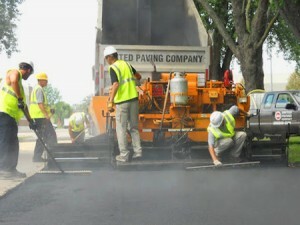 United Paving Company is here to provide a higher standard of commercial paving, asphalt paving, parking lot repair and parking lot maintenance services throughout Madison and Central Wisconsin. We use the same fundamental values as our parent company, United Craftsmen, who have been building quality homes since 1978. Visit www.United-Craftsmen.com to see their quality work. "A business is only as good as its employees"
We are an asphalt paving company that strives on a balance of experienced & detailed orientated employees that value customer service. We find and keep those people at United Paving Company. That allows for our customer’s to deal with the same names and faces whenever they may require our assistance. Our crews operate out of our two locations; DeForest WI and Fox Lake WI. Our qualified grading and asphalt paving crews have over 50 years of combined experience. Our experienced estimators, have the knowledge and ability to diagnose & find solutions for problem areas in commercial or residential parking lots or driveways.